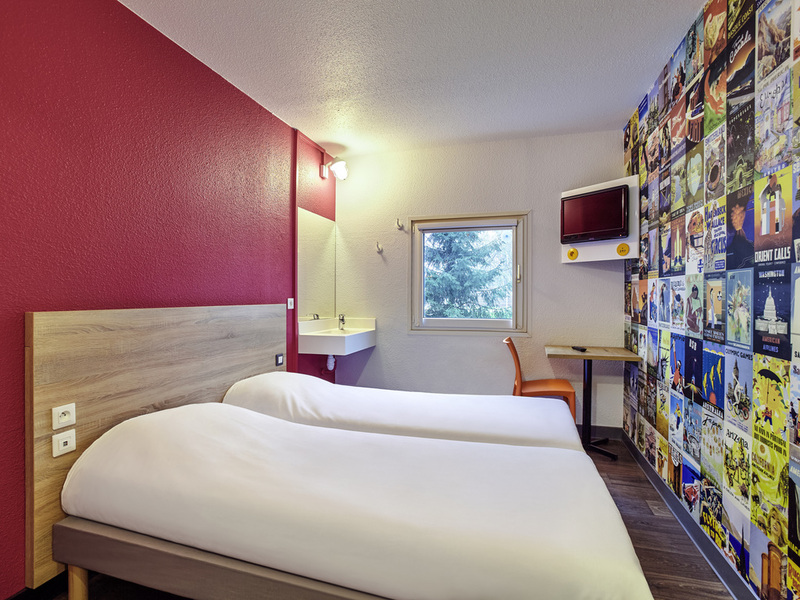 Our ultra-budget hotel, which is accessed directly via Nantes Périphérique Est (east beltway), is 15 minutes from the city center and offers new generation DUO and TRIO rooms (flatscreen TVs with the TNT channel and free WIFI). They have spacious shower a nd bathroom areas outside the rooms. All-you-can-eat breakfast buffet. Reception open 24/7. Beverage and snack dispensers. Vacation checks accepted. Free indoor parking.